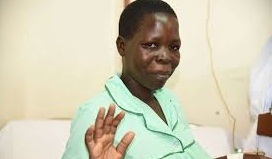 Everline Namukhula was an optimistic mother, joyous and looking forward to raising her fragile five babies when she gave birth, preterm, 26 days ago, at Kakamega County Referral Hospital. No one would imagine that the 28-year-old mother of four other children, would leave her newborns shortly after. Ms Namukhula from Shisokhe Village in Navakholo died from a complication Sunday afternoon at the Moi Teaching and Referral Hospital (MTRH) in Eldoret, where she had already seen life ebb away from two of the five infants who were undergoing special care. And the three girls left still lie delicately in an incubator, unknown to them what life holds for them without a mother.